Having travelled through Italy, Greece and the Aegean in his youth, Colin quickly became interested in the ancient mythology of the region. 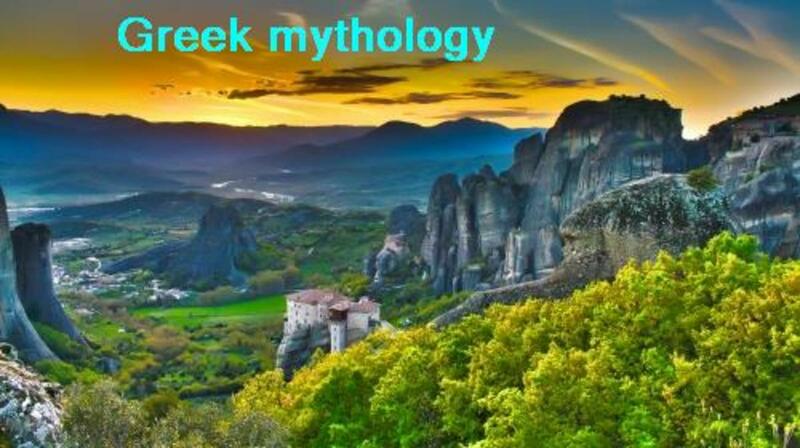 Most of the surviving stories of Greek mythology tend to be based around the deeds of the gods of Mount Olympus, and the exploits of mortal heroes fighting man and beast. Amongst the most famous of these mortal heroes was Perseus, and even today the story of Perseus in Greek mythology is one of the best known. 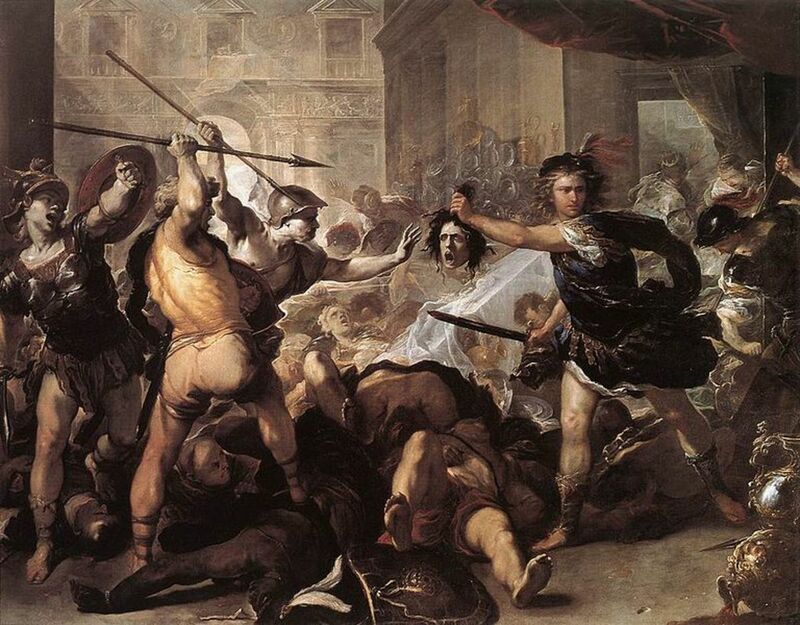 Famed for claiming the head of the Gorgon Medusa, the life of the hero Perseus was one of trial and tribulation; but unlike many Greek heroes, Perseus’ life ended on a high. The story of Perseus in Greek mythology begins in Argos during the reign of King Acrisius. King Acrisius was father to one child by his queen, Eurydice; this child being the princess Danae. Acrisius though, was desperate for a son to be his heir. 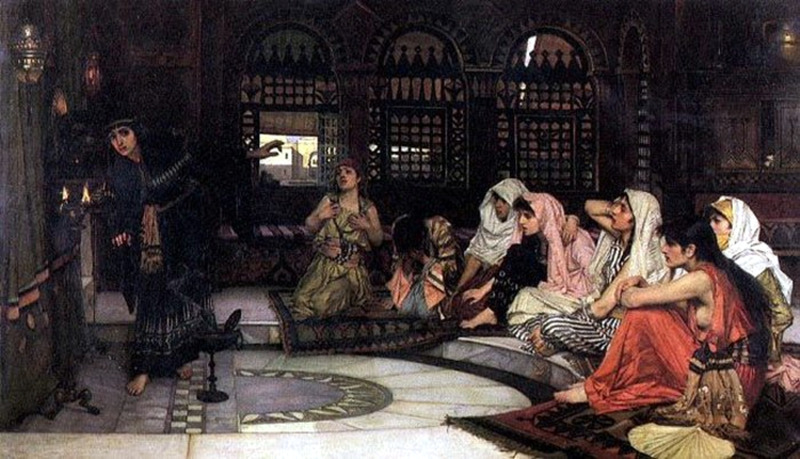 To find out whether he would every have an heir, Acrisius would visit the Oracle at Delphi; the news given to the king by the Pythia though was not good, for it was prophesised that King Acrisius would be killed by his own grandson. Acrisius was now suddenly more worried about his own death than the absence of a male heir. At the time, Acrisius had no grandson, and his daughter Danae was without suitor, and to ensure that that situation continued, the king locked Danae into an inaccessible bronze tower. The smooth sides of the tower could not be scaled, and the single entrance door was guarded day and night. The news of the confinement of Danae within the bronze tower reached Mount Olympus, and soon Zeus was being informed about the beauty of the princess. Zeus was always looking out for beautiful mortals, be they female or male, and so the supreme god decided that a visited to Argos was called for. Zeus found that even he could not enter the bronze tower in the normal way, but Zeus was undeterred. Zeus transformed himself into a shower of gold, something that enabled him to cascade through the tower’s roof, falling upon Danae. As a result of the joining of Zeus and Danae, the princess of Argos have birth to a baby boy, a son for Danae called Perseus. The fact that Danae had given birth to Perseus could not go unnoticed by Acrisius, but the king also recognised that only a god could have gotten Danae pregnant. Acrisius now had a problem, the king was still worried about his own death, but he was also worried of what might befall him if he killed a son of an Olympian god. Acrisius though came up with a plan, a plan that the king hoped would save him from his predicament. 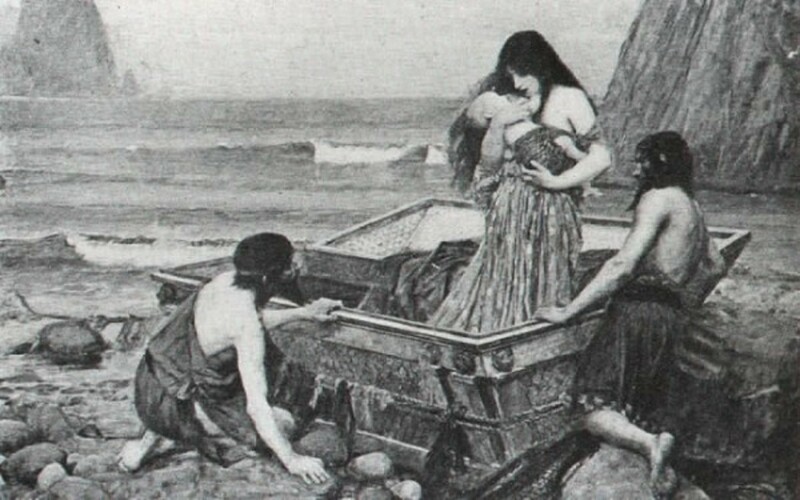 Danae and Perseus were placed in a large wooden chest, and the chest was then set adrift on the open sea. Acrisius having concluded that one of two things would occur; either the wooden chest would sink, killing Perseus and Danae, or else the wooden chest would drift so far away that his Grandson could do him no future harm. Zeus was never quick to abandon his own offspring though, and asked his brother Poseidon for assistance; and so the Greek god of the sea ensured that the wooden chest was safely floated to the shores of the island of Seriphos. The wooden chest safely washed up on a beach on Seriphos, and there it was discovered by a fisherman by the name of Dictys. Dictys happened to be the brother of the King of Seriphos, Polydectes, and soon Perseus and Danae found themselves in the court of the king. King Polydectes welcomed the two new arrivals, and Perseus would subsequently grow up in the king’s court. As time passed though, Polydectes fell in love with the beautiful Danae, although she had not fallen in love with the king. 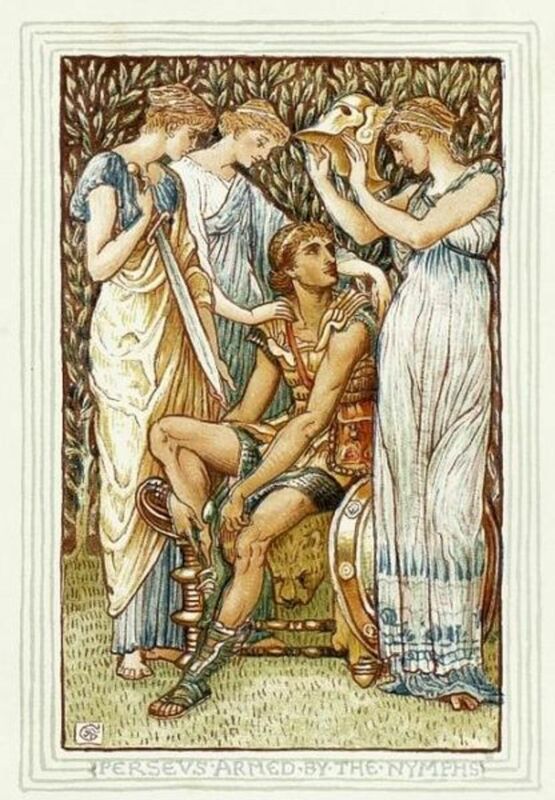 Polydectes was also blocked from making any unwanted advances by the grown-up, protective Perseus. Polydectes though would come up with a plan to remove Perseus. Polydectes told Perseus that he wanted an impressive wedding gift to present to Hippodameia; Perseus was of course relieved to find that the king was planning to marry Hippodameia rather than his mother. Perseus therefore promised to return with the head of the Gorgon Medusa; and Polydectes believed that Perseus would die in the quest. According to some Greek myths, the Gorgon Medusa was once a beautiful attendant in a temple dedicated to the goddess Athena. Poseidon raped Medusa in the temple though, and in retribution Athena would curse Medusa to have snakes for hair and a gaze that could turn man to stone. 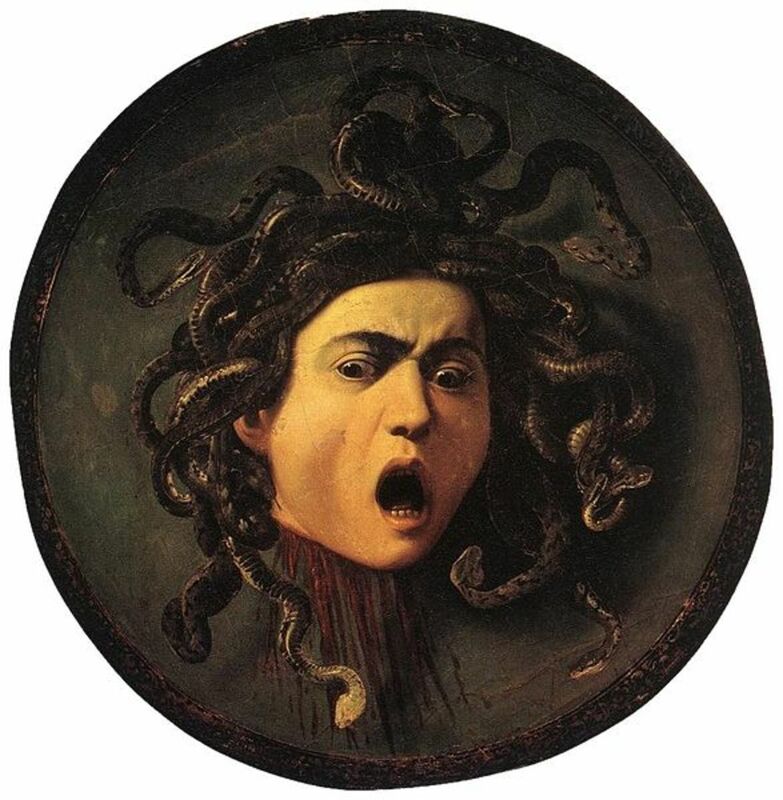 Other sources would write that Medusa was born a Gorgon and born in that way. In either case, Medusa was now a deadly monster. Perseus had given himself a quest, but he was at a loss to know how to even find Medusa. The plight of Perseus though was observed from Mount Olympus, and Athena came to the young hero’s aid. 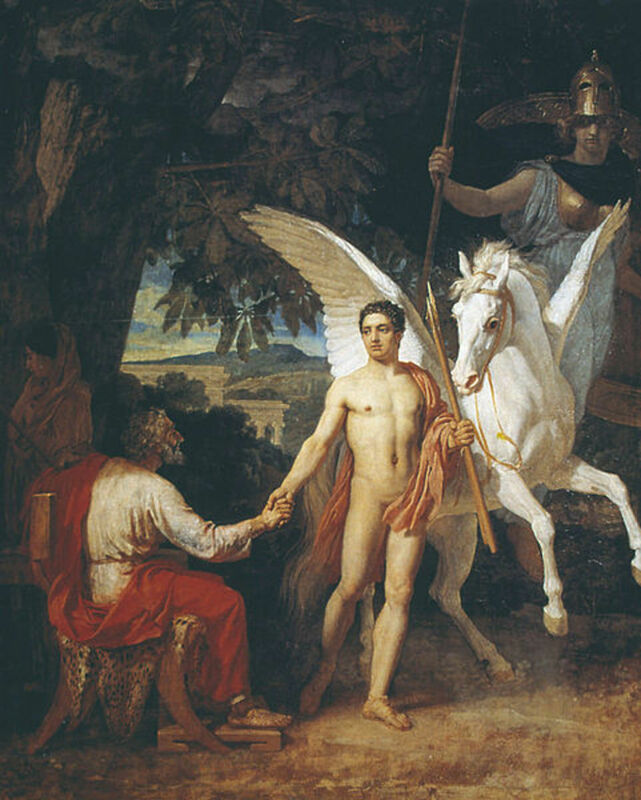 Athena, along with Hermes, would take Perseus to the Garden of the Hesperides, and there the Greek hero was presented with some items to help Perseus in his quest. Athena gave Perseus her reflective shield and a magic satchel to house the head of Medusa, Hermes gave an adamantine sword and his winged sandals, the god of the dead Hades also acquiesced to the loan of his helmet of invisibility. 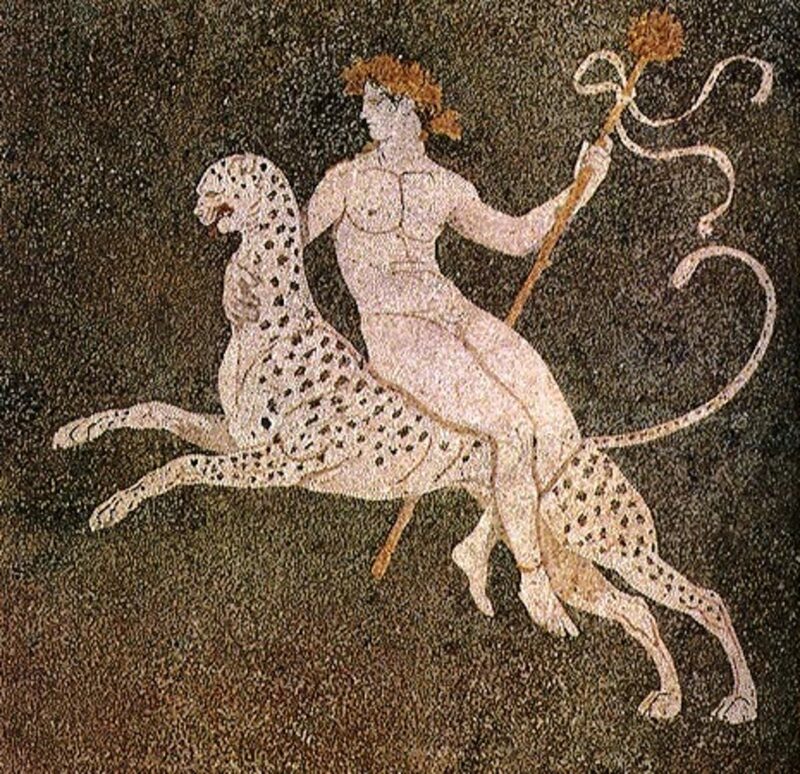 Perseus was also told to go and seek out the Graeae. The Graeae were three old women, daughters of Phorcys, and therefore sisters to the original Gorgons. The Graeae were also keepers of the secret of the location of the Gorgons. It was not a secret that the Graeae would willingly give up, but the “grey sisters” had a weakness, for they shared one eye and one tooth between them. Perseus managed to get hold of the eye, and then ransomed it for the information. Now having knowledge of where Medusa was to be found, Perseus made use of Hermes’ sandals to make his way to Samos. Outside of a cavern, Perseus would find stone statues of animals and men, victims of Medusa’s stony gaze. Perseus entered the lair of the Medusa, and made his way close to the monster. The reflective nature of Athena’s shield allowed Perseus to locate the Gorgon without being turned to stone, and when within reached, the Greek hero swing the sword of Hermes, decapitating Medusa. Perseus then took up the head of Medusa and placed it in the satchel. The remaining two Gorgons, Euryale and Stheino, became aware of the presence of Perseus and gave chase to the slayer of their sister, but the winged sandals of Hermes, and the helmet of Hades, allowed Perseus to escape. The Perseus myth would continue afterwards though, for the Greek hero did not return immediately to Seriphos. The return journey of Perseus would seem him stop in Aethiopia. There he found the kingdom of King Cepheus being ravaged by a terrible sea monster, Ceto. The wife of Cepheus was Cassiopeia, and the Queen of Aethiopia had rashly claimed that she was more beautiful than any of the Nereids; and the water nymphs had then complained to Poseidon who had dispatched Ceto. The free themselves from the curse, it was proclaimed that the daughter of King Cepheus, Andromeda would need to be sacrificed. Thus it was that Perseus found Andromeda chained to a sea rock. Perseus would rescue Andromeda though, and free Aethiopia of the sea monster at the same time; this Perseus did by removing the head of Medusa from the satchel and used it as a weapon, turning Ceto into stone. Perseus and Andromeda would eventually arrive back in Seriphos, but rather than a happy arrival, Perseus would find that his mother was being abused by King Polydectes. This abuse came either in the form of a forced wedding, or Danae now found herself in servitude to the king. Perseus would therefore make one last use of Medusa’s head, and removing it from the satchel, the Greek hero would enter the palace of Polydectes; there he turned to stone all those he found. It was subsequently said that the stone boulders found on the island were Polydectes and his cronies. With his quest complete, Perseus would handover the sandals, sword and helmet to Hermes; who would then return the items to the Garden of the Hesperides. Perseus though would give the head of Medusa to Athena, and the goddess of wisdom would then place the head on her own shield, where it would act as a protector of the goddess in future fights. 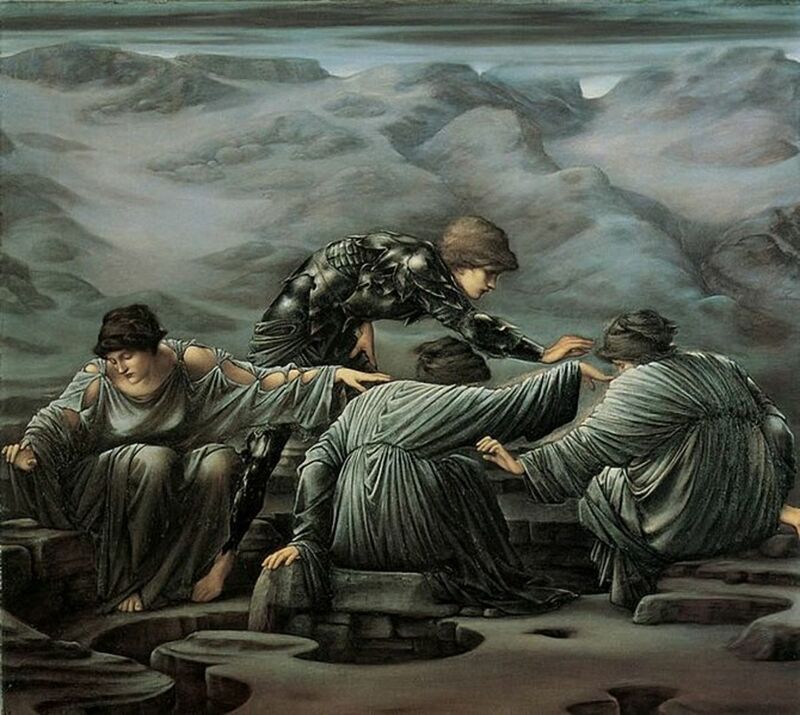 Though the quest was over the story of Perseus, and of Andromeda, was not quite at an end. Perseus was subsequently said to have been the founding father of the city of Mycenae; the Greek hero building a city were he dropped his cap. In Mycenae, Perseus and Andromeda would become parents to nine children. These children were the seven brothers; Perses, the forefather of all Persian rulers; Electryon, the grandfather of the Greek hero Heracles; Alcaeus; Heleus; Mestor; Sthenelus; and Cynurus. The two daughters of Perseus and Andromeda were Autochthoe and Gorgophone. Perseus and Andromeda would happily live out their lives together. Of course, there was still the prophecy made about Perseus in regards to killing his grandfather; whether this prophecy came true depends on the version of the Perseus myth being told. 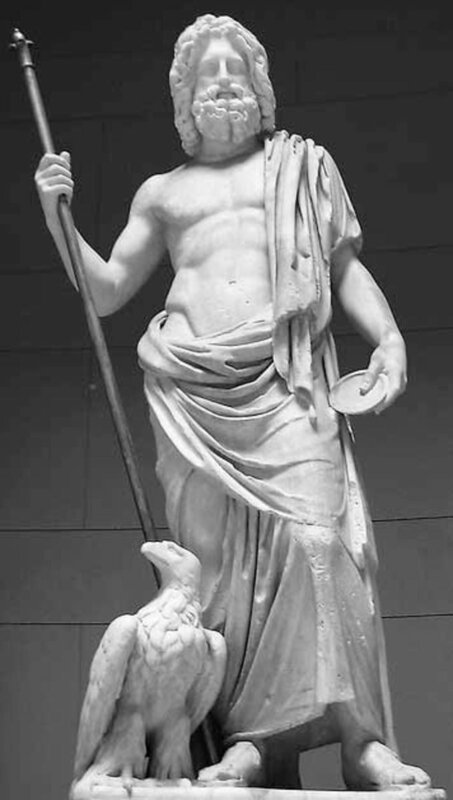 In one version of the myth, Perseus was a contestant at the Larissa athletic games, and was showing an assembled gathering of the game of quoits that he had invented. As he threw one of the quoits though, Acrisius walked across in front of him, and the quoit killed Perseus’ grandfather. In a similar tale Perseus killed Acrisius with a discus when competing in funeral games for Amyntor, a king of Larissa. 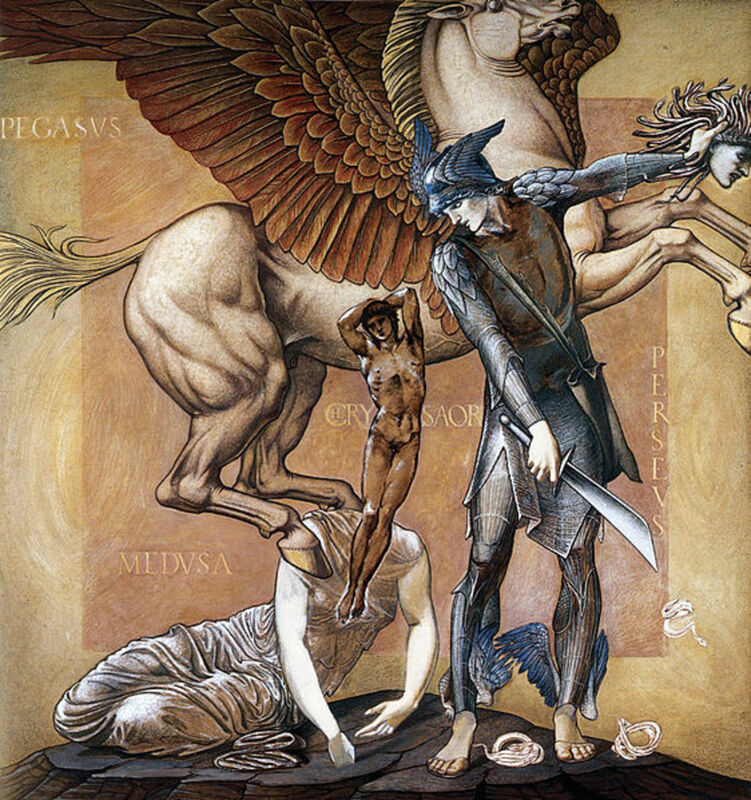 A final version sees Perseus kill not Acrisius but Proteus, the brother of Acrisius. Proteus had usurped his brother, forcing Acrisius into exile. Thus Perseus would return Acrisius to the throne. When Acrisius did die though, Perseus would become the rightful ruler of Argos, but rather than take up the throne, Perseus was said to give up the throne to Megapenthes, a cousin of Perseus, whilst Perseus himself would move on to Tiryns and then Mycenae. It has become common, in the time since the Renaissance Period, to make alterations to the Perseus myth. One often quoted change sees Perseus riding on the back of Pegasus during his quest, rather than making use of Hermes’ sandals to travel back to Seriphos. Pegasus was the offspring of Medusa, born from the severed neck of the Gorgon, but in traditional Greek mythology it was not Perseus who tamed the winged horse as this was something attributed to another Greek hero, Bellerophon. A common tale also sees Perseus making use of the head of Medusa to turn the Titan Atlas to stone; this story though cannot be true, for Atlas was alive when Heracles, Perseus’ great-grandson encountered the Titan during his own adventures. It came to Perseus that Polydectes, who wanted ever more power and riches, would also want even more protection. At the risk of his own life, Perseus promised Polydectes the head of Medusa. The Greek myth of how the hero Perseus saved Ethiopian princess Andromeda from being eaten by the sea monster, Ceto. Thanks for the compliment daydreamer. So interesting. I always enjoy your hubs.